This is the seventh installment in a series of posts on California's climate leadership. These posts address a wide range of related topics including economic benefits, renewable energy, and cap-and-trade. California's clean energy legislation masks the problems that plague the Golden State's energy picture. Clean energy is a key part of climate action and California is undeniably a global leader in renewable technologies. California has been a renewable energy leader for years. State support has helped the clean energy industry and benefited the economy. As reported by Bloomberg, "Technology driving the clean energy boom is the reason California companies lead most of their peers in US." Around the same time as Trump was abandoning the Paris Agreement the California Senate was passing legislation designed to replace fossil fuels with renewable energy for power generation. The state has advanced a bill that is moving the state ever closer to achieving its goal of 100 percent renewable energy. The Gold Coast currently gets more than a quarter (27%) of its energy from renewable sources. 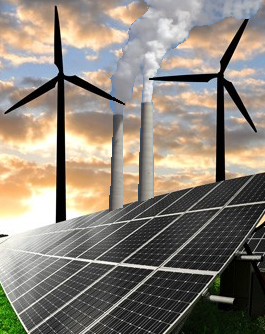 All of the states energy needs will be met with renewable sources by 2045. 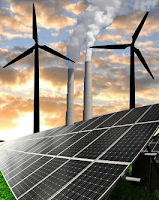 California's current renewable portfolio standard mandates 50 percent renewables by 2030. Bill 100 would accelerate that timeline so that the state will have to get 50 percent renewables by 2026 and 60 percent by 2030. Like the G19 California realizes moving forward on climate action means walking away from the men who occupy the White House. State Senator Kevin De León is the man who introduced the bill and like Gov. Jerry Brown, he openly states that California must leave the Trump administration behind. "Regardless of what Washington does, California will show the way forward," said De León. "We are sending a clear message to the rest of the world that no president, no matter how desperately they try to ignore reality, can halt our progress." There are a number of good reasons why California has sought to be a leader in the renewable energy sector. The state needs to secure a source of energy to replace the power produced by fossils fuesls. They need to replace shortfalls in hydroelectric energy production from drought plagued dams. California also has to meet the shortfall associated with phasing out nuclear power. All is not perfect with the Golden State's energy mix, there are a host of issues confounding El Dorado's power predicament. Similar to the situation with California's EVs, the state's energy picture sheds light on some thorny problems. California has historically generated most of its energy from environmentally destructive fossil fuels. Although La La Land is moving away from coal-fired energy and towards renewables much of this clean electricity is generated in other states. To make matters worse the state sometimes has to pay to offload its own energy supply. According to a recent LA Times article, California has repeatedly paid other states to take their renewable energy. The reason states like Arizona and Nevada get paid to take solar power from the Gold Coast is to avoid overloading their own power lines. The problem is that there is no room on the grid for renewables because the system is still dominated by fossil-fuel-generated power. There is also the issue of costs. Energy costs have risen faster in the state than in the rest of the US and Californians now pay 50 percent more for their power than the national average. This is not due to cheap solar energy, (solar power has declined 73% between 2010 and 2016), this is attributable to the building of more natural gas power plants. The state has halted new power production because it can already produce more electricy than it can use. California needs a better energy management strategy. Without such changes even CAISO concedes that curtailments and negative pricing is likely to happen even more often in the future.